If you poll the online internet Aggie community, it appears as if a large majority of Aggies are not in favor of this bill. After reading a few conversation threads on TexAgs.com, it appears as if there are a lot of Aggies that either (1) don’t want to play the Longhorns anymore, and/or (2) feel that the only way the two schools should play is if the Longhorns are the ones who request the game. Personally, I am of the opinion that the game should be played. The annual rivalry game between the two schools is an important ingredient in the tradition of college football and everyone suffers from its loss. I am sympathetic to the Aggies who use the phrase “the Longhorns need A&M more than A&M needs the Longhorns,” as their justification for not wanting to play the game. I also understand that A&M has offered every opportunity to the Longhorns to continue the game, and that the Longhorns are the ones who have refused to schedule the game (and thus killed the traditional rivalry). I think this act of stubbornness by the Longhorns (and their Athletic Director DeLoss Dodds) is immature, petty, and childish. However, what else can one expect from that school in Austin. Growing up as a kid, there were always disputes among siblings. I was always taught that someone had to be the “bigger man.” As kids, there were going to be fights and arguments, and they would always be over something considered trivial (or minor) by the adults in the room. However, as a kid, you knew that the argument was more than trivial. In fact, the immediate argument was really just a continuation of a long-standing feud that you had been dealing with for years. It was the same old sibling-rivalry manifested in a new form. This is exactly what we have here between the Longhorns and the Aggies. A&M’s brother is at it again. Brother Longhorn wanted to play football, but had conditions — my way or the highway. A&M wanted to play with Longhorn, but also wanted to play with some other kids as well. These new kids were from down the street — an area called SEC. Longhorn made it fairly clear that the SEC kids were not invited and told brother Aggie that if he chose to play with the SEC kids, that Brother Longhorn was going to take his football and go home. Brother Aggie tried to convince Longhorn that there was a way for A&M to play with the SEC kids AND brother Longhorn. However, brother Longhorn wouldn’t listen and ran for home. A&M has gone so far as to issue an invitation to the Longhorns and have offered to play them at a time and place that best suits the Longhorns. However, despite the generous invitation, the Longhorns have declined. I am also sympathetic to the Aggies who say that if the game is to continue, it should be because the Longhorns finally request to renew the series. After all, the Longhorns are the ones who ended the rivalry by declining to play the game and so it makes sense that they should be the ones to ask for it back. 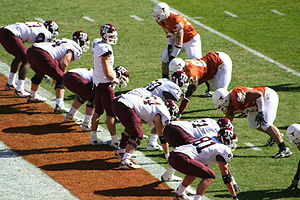 However, while I too would like to see the Longhorns ask A&M to renew the rivalry, I don’t think that will ever happen. Pride is a powerful thing, and Texas Pride is even more so (some might say that pride in Texas is so much bigger than pride found elsewhere that it is too big to be swallowed). In the end, I simply want the game to be played. This game is what “we” (Longhorns and Aggies) do. This past November (2012), was the first time the rivalry game had not been played since the 1912-1914 seasons. Believe it or not, it was the Longhorns who canceled the rivalry in 1911 (the Longhorns were unhappy about losing to the Aggies, so they threatened to cancel the series if A&M didn’t fire their head coach). This past November, after canceling the annual Thanksgiving day rivalry with the Aggies, the Longhorns were so bold as to claim that they have a tradition of playing football on Thanksgiving, and that they are somehow continuing this Tradition by playing TCU. I guess the Longhorns are somewhat correct, in that they do have a tradition of playing football on Thanksgiving. However, that Thanksgiving day opponent was always Texas A&M. In other words, the actual tradition was that the Aggies and Longhorns would play every year on Thanksgiving. 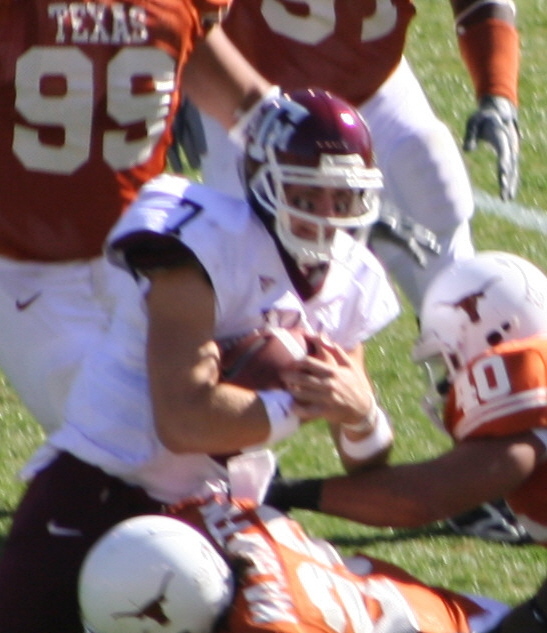 The tradition was/is not that the Longhorns would play football every Thanksgiving, and it just so happened that the opponent was always Texas A&M (by random luck, or otherwise). However, like I said earlier, what else can one expect? The Longhorns are doing everything they can to have their cake and eat it too (see the Longhorn Network). I also don’t mind seeing the Aggies kick the Longhorns around a little, forcing them to do whatever is best for A&M, and give them a taste of their own medicine. Finally, this is a blood-feud. It is often referred to as a sibling rivalry, and while that may be correct, its unlike any other sibling rivalry you have ever encountered. While there is definitely a sibling dynamic that anyone can understand, there is another layer that may only be understood by Cain and Abel. I often hear national media commentators, when discussing this rivalry, say something to the effect that despite the “hate,” there is a lot of respect. I have always found this to be a funny thing to say, especially from someone who isn’t from Texas and has never been a part of the rivalry. After all, how would they know what it was like? I grew up in the middle of this rivalry, and while I have seen my fair share of respect among Longhorns and Aggies, I have always likened that to Southern culture more than anything else. Have you ever been to a family reunion in the South? You will have several hundred people show up for an annual get-together of the entire extended family. Everyone is nice and respectful to each other, however, these same people, some of which live very close to each other, only speak at this annual event. They are nice to each other while at the reunion, as that is what basic human civility demands. On a certain level, everyone at the reunion actually cares if everyone in the family is “alright,” as no one wants to see harm fall upon another. But don’t mistake this attitude for love or friendship. Call it “respect” if you want too, but don’t let that confuse you, as you can respectfully hate your enemy. If anything, this legislation will add another chapter in the longstanding rivalry between these two schools. While I don’t think it will end up going anywhere (I think it will “die on the table”), I can only imagine how much more intense this rivalry will become if the two “siblings” are forced to go into a room and play together once again. This entry was posted in 2013, Law, LHN, Texas A&M, Tradition by Travis Normand. Bookmark the permalink. lol…..I feel the same way.